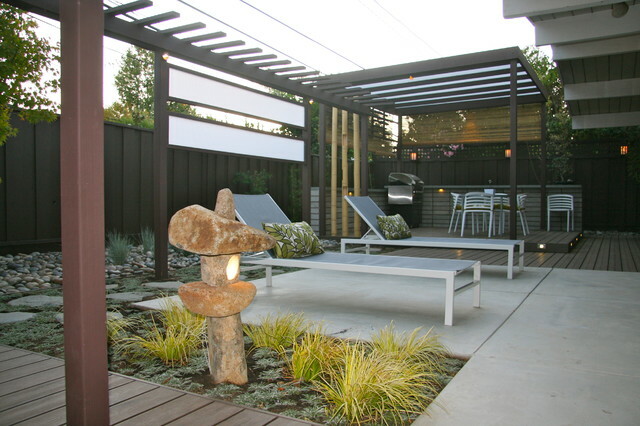 LOVE THE COVERING (WHITE) / BAMBOO; ASIAN GARDEN THEME; STONE; WALKWAYS ETC. similar to my space. liked privacy idea?